Accreditation is the formal independent recognition that a practice meets the requirements of a set of standards. For dentistry, the standards are the National Safety and Quality Health Service Standards. Many private practices consider working towards dental accreditation, but the process can be daunting. If the process seems too complex, time-consuming or stressful, Amalgamate can help. 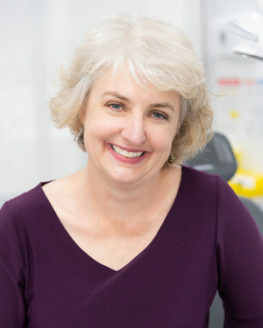 As a qualified dentist with experience in the dental and compliance industry, Dr Roslyn Franklin is uniquely positioned to coordinate the process and support your business every step of the way towards accreditation. From mapping business processes and improving business practices to developing, implementing and compiling the evidence required for accreditation, Amalgamate can provide an end-to-end service, even submitting the application to the accreditation agency. Accreditation is all about documenting policies for your practice, and then demonstrating you are following them and constantly seeking to improve your practices. From an accreditation point-of-view, if it’s not documented, it’s not done! Amalgamate can develop these procedural documents for you, or if you have registered for accreditation, can continue the process using the templates available from the Australian Dental Association. Part of Amalgamate’s service is to ensure your documentation meets both current legislation requirements and Dental Board of Australia requirements, and provides your practice with transparency and accountability while removing all ambiguity. After determining the degree to which your practice currently meets the accreditation Standards (National Safety and Quality Health Service Standards), Amalgamate works with you and your practice to develop a process timeline. The timeline breaks down document development and implementation into manageable tasks. Amalgamate does all the legwork and gathers the details required from your existing materials to populate industry templates. Roslyn will also work with you to develop any additional content as required. All documentation is electronic. Roslyn will email a task to complete according to the timeline: all documentation is initially prepared in draft format and will require your input, review and approval. Once the draft versions are returned, they are reviewed, edited and proofread before finalising and returned to you via email. When all parties are satisfied that all documentation and requirements for accreditation have been met, the application can be submitted to the auditor. Amalgamate manages and submits all documentation. Once accreditation has been awarded, activities can proceed to the next stage. Amalgamate will provide two hours of in-house (or skype/phone) training to ensure all accreditation documentation and processes are easily maintained by you and your staff. Roslyn’s priority is to work closely with you and your staff to ensure a smooth integration of accreditation documentation into everyday business operations. Amalgamate provides ongoing support for the first year of accreditation, via email or phone response to any queries. The additional documentation required for eventual re-accreditation is also provided, to give your business a head start for next time. Introductory dental practice accreditation lasts for two years. At that time the option to seek reaccreditation is available, with a range of audit options and lengths of accreditation to choose from. You should aim to submit the documentation required three months before your accreditation lapses. Amalgamate has a range of packages to suit your Practice’s current needs and future plans. Please download our Dental Practice Accreditation Packages brochure for more information. We know that you might have a question or two related to dental accreditation. Please visit our Frequently Asked Questions for a range of questions that we often receive. 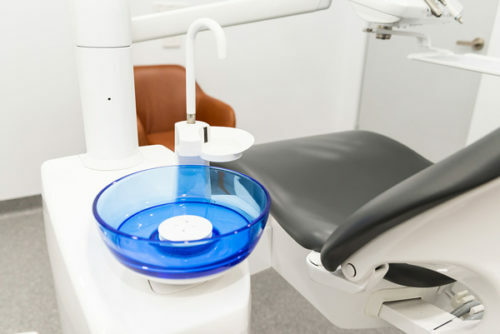 Amalgamate also assists Dental Practices with Documentation development and legislative compliance to ensure that your dental practice meets legislation, regulations, standards and Dental Board of Australia requirements. "Ros is competent and organised; she worked closely with us on each of the tasks. We found her to be extremely cooperative and friendly in her approach. Her skill set is outstanding and we would not hesitate to recommend Ros to any Practice working toward being Accredited." "Dr Roslyn Franklin conducted her services in a highly professional & friendly manner. All requests for help or clarification were acted upon promptly and comprehensively. She made the process smooth and easily achievable." "We would like to make a very special mention to Roslyn from Amalgamate. Not only is her knowledge and expertise in her field outstanding, she delivered more than what we expected and was an absolute pleasure to learn from. Sending our thanks and high recommendations from Smile Makers Whitsundays." "Ros made the transition to accreditation a simple and seamless task. With minimal disruption to our clinical practice she was able to work with our team and build on our systems to reach the end point of our accreditation. I recommend to all my colleagues to embrace accreditation at the earliest possible time and further wholeheartedly recommend Ros to facilitate the process. " Amalgamate is happy to provide a complimentary phone consultation for businesses considering accreditation. Roslyn will ask for information about your current procedures, processes and policies to determine the degree to which your practice currently meets the National Safety and Quality Health Service Standards. This conversation also provides an opportunity for you to discuss any requirements and concerns. Roslyn will outline what you can expect from Amalgamate, and what will be required from you and your team to ensure the whole process runs smoothly and on time. From this consultation, Roslyn can provide a no-obligation quote detailing the work required, a timeline, and pricing. If you would like to know more, call 0428 917 700 or send Roslyn a message.